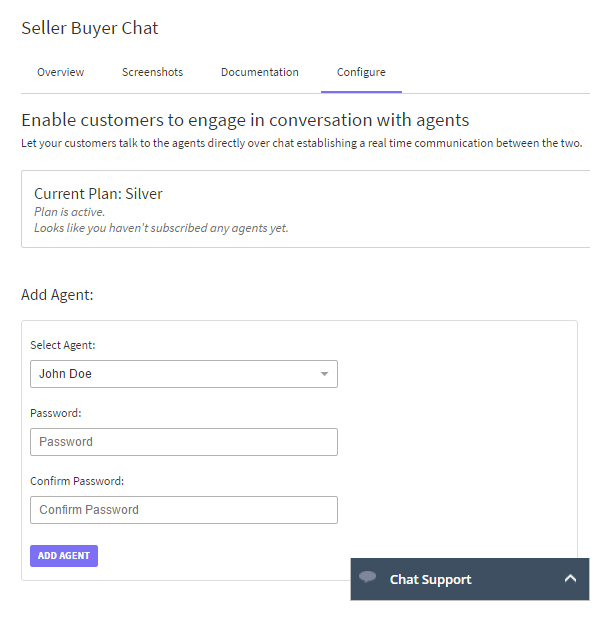 Seller Buyer Chat provides a better quality support by enabling your customers to chat/discuss with designated agents over chat and establishing a real time communication. Merchant is the owner of the app through whom a plan has been subscribed. 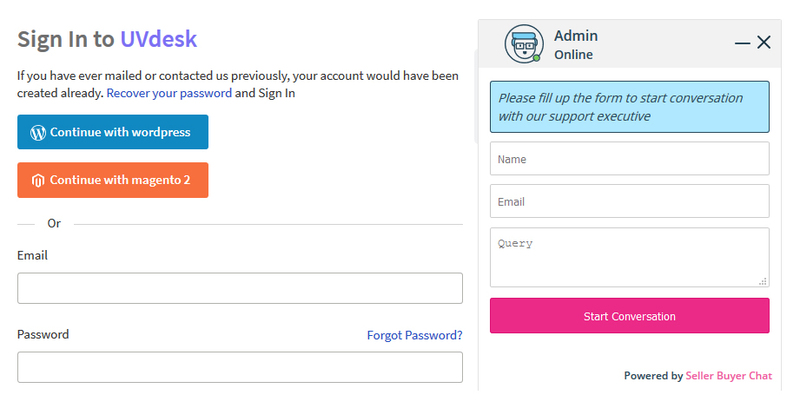 In terms of your UVDesk Helpdesk, a Merchant can be any agent with role Administrator. Sellers are different agents associated with a Seller Buyer App with whom a customer can communicate with. In terms of your UVDesk Helpdesk, a seller can be any agent. On the Dashboard, you will see "APP CENTRE" menu and under it, you will find "Seller Buyer Chat". Click on that button and Seller Buyer Chat will get installed. 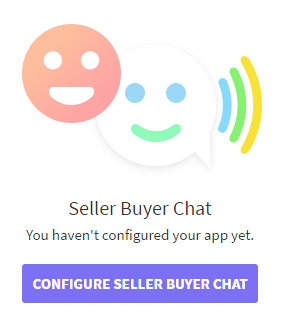 Alternately, for uninstalling the app, go to Seller Buyer Chat "Overview" section then click on Uninstall button. Now, under the Configure, click on Configure Seller Buyer Chat button. Note: If any previous subscription plan is associated with your SellerBuyer Account then it will ask to restore that app and then that app will be activated again. If you don't wish to restore the plan, then do not click on "Restore App" button. Select the Subscribe Plan for the chat as per the need. After the plan selection and payment, add agents as per the plan selected by you. Select the agent and enter their password. The owner as well the admin can login in the Seller Buyer Chat Portal. The seller or the agent will login into https://sellerbuyerchat.com account and they can see Domain Name, My Shop name. They can also see only their chat history. The owner can login into the https://sellerbuyerchat.com account and they can see all the agents which they will add. The owner can also see the chat history of all the agents with the customers. 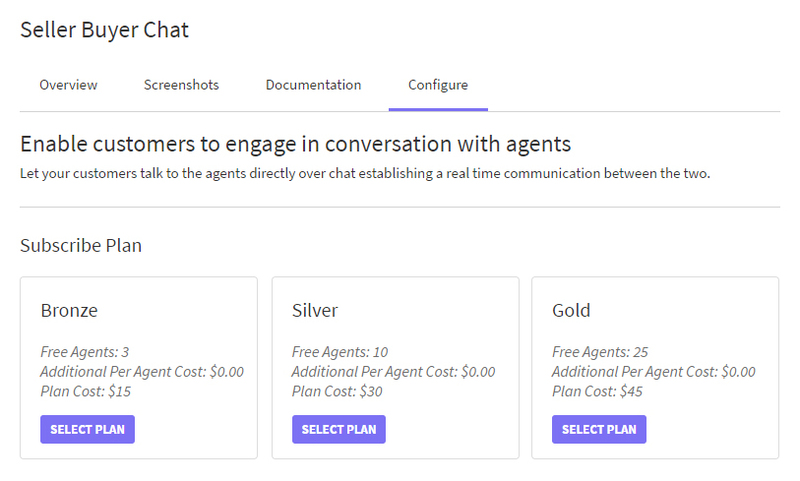 Now, the customer can visit your support panel and initiate a chat with the agent or the owner. 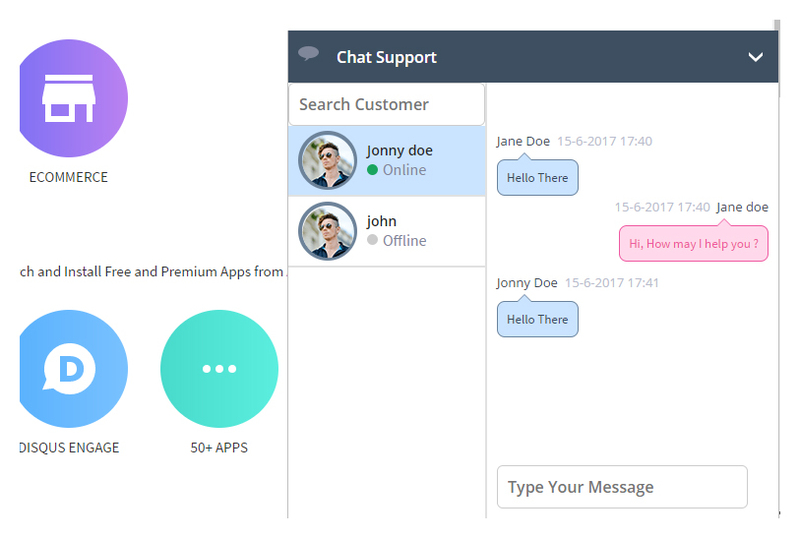 If the customer initiates the chat from a ticket view (means they started the chat after opening their ticket) then the chat will go to the agent whom the ticket was assigned.